Grammy Award winning vocalist Leslie Ellis joined us on The Candi & Randy Show to talk about life as a working singer/songwriter in "music city" - Nashville. Through her career Leslie has sung with many artists including Celine Dion on “My Heart will Go On” – from the movie “Titanic” (for which Leslie won the Grammy) and Thomas Dolby on his latest album “Forty” (featured on “Hyperactive”). She sang the original soundtrack song, “Six Times Around the Sun” for the CBS mini-series, "Perfect Murder, Perfect Town." Four of Leslie's original songs appeared in the musical "Cowboy Cafe" and were performed live at the show's premiere in North Carolina. Her self penned “Flyer Song” was adopted by the US Navy and made into a video as a tribute to the troops and their families. 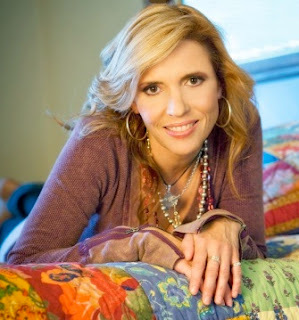 She’s also written songs that were recorded by The Bellamy Brothers and NYC based recording artist David Ippolito. As an actress, Leslie has appeared on television and the Broadway stage - CATS, LA CAGE AUX FOLLES and CITY OF ANGELS. In 2007, she starred in an independent film called, “My Name Is Wallace” which was invited to the Cannes Film Festival; and in 2009 appeared in "The New, True Charlie Wu" as Eudiamonia. Throw into the mix that she's developing a new cooking show and you have a real achiever with a great amount of charm.